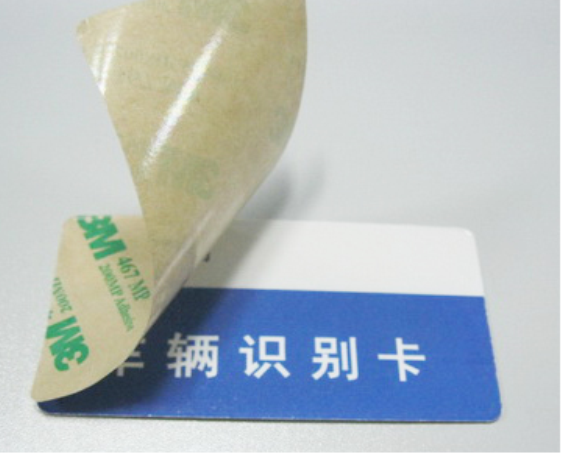 Custom RFID sticker tag are adhesive RFID paper NFC tags which support 4 color digital or offset custom printing (CMYK). 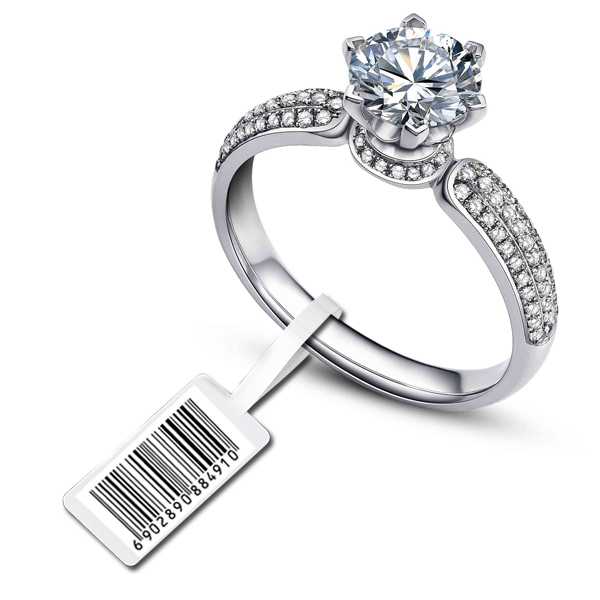 Just provide your own artwork or company LOGO then we can make your desired customized RFID sticker tag. 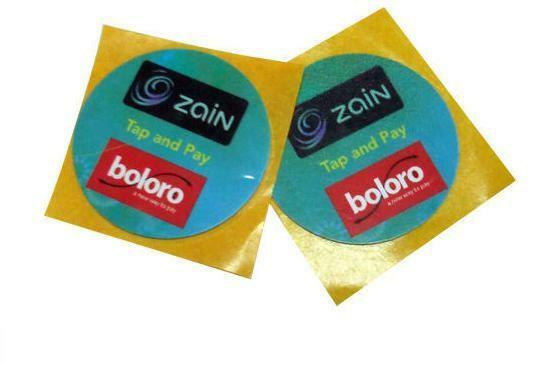 A variety of shapes and sizes are offered for RFID stickers. 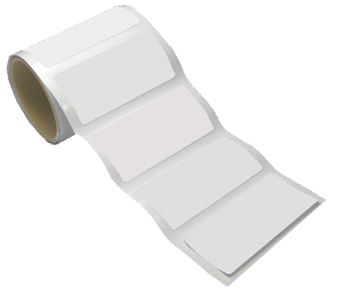 RFID paper stickers can be one-sided or both sides printing. 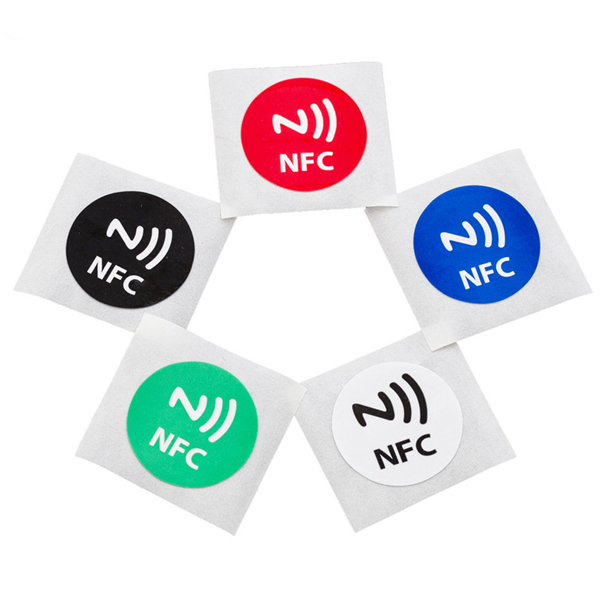 NFC Tags surfaces have water-resistant paper, soft/hard PVC and PET. All stickers are water-resistant and durable. Great Creativity also provides White RFID NFC stickers, Clear RFID stickers. If you want apply the tags NFC to a metal surface. 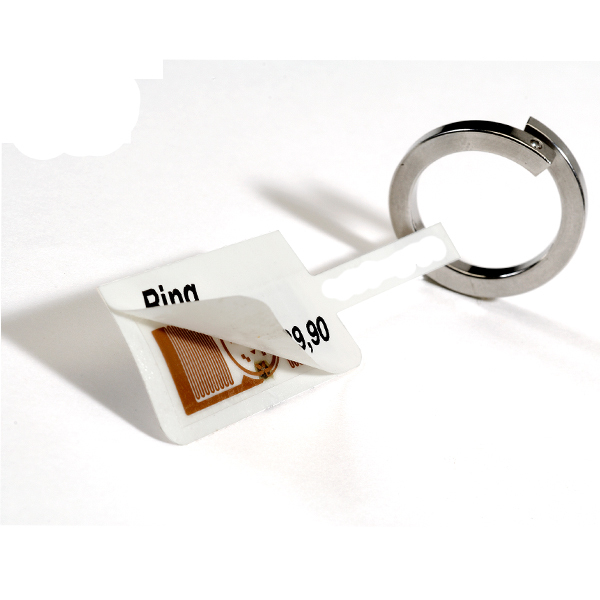 Then you need to choose On Metal RFID NFC stickers so that the tags NFC readability will not be interfered by the metal. Just contact us for more custom service. RFID Chip LF, HF, UHF all available. Contact us freely for other RFID NFC chip. Epoxy, Customize size and shape, Hole punch etc. Insert applications for bluetooth wristband pedometer for payment tracking and member management reading distance 2CM outer case, 1~1.5CM inside wristband case. Our self R&D micro FPC copper RFID sticker tag for bluetooth wristband pedometer for payment tracking & member management. This type with double copper antenna, size 18.45*9.8mm special shape, HF 13.56mhz chip. Kindly find the pic below for FPC NFC tag and the bluetooth wristband, you will find our FPC sticker is perfect fit in the wristband case. The bluetooth wristband pedometer can track steps, calories, heart rate,cycling data and sleep qualities, IP 67 waterproof and OK for swim etc. Established in 1999, Great Creativity Group was specialized in producing and marketing of Plastic card, Luggag tag, RFID smart card, RFID sticker/tag/label, RFID wristband, RFID blocking products, 3D card, Paper card, ect. We are Alibaba Top 10 Global Net-Entrepreneurs and 2014~2015 China The Most Influential RFID Enterprise.